I’m going divert from my normal course to do a series of posts on editing over the next few weeks. The Kinds of Editi—Wait, There Are Kinds? Most people think that being an editor generally means you’re the grammar police. When I tell people I’m an editor for a living, I’ll usually get a response like, “Oh, so you check for typos and grammar mistakes and stuff.” And certainly, most editors will probably try to prevent those things from slipping by. But “editing” is a word like “love.” (Sincerest apologies. I just got married and I’m feeling cheesy.) There are different forms it can take. That’s why editing is usually divided into three different categories: developmental, copyediting, and proofreading. They are in some ways fluid, just as “love” encomapasses different types of affection with undertones that can flow. But here’s my best attempt at a breakdown of the three types. If you’re scratched out half a novel and are feeling the pain of being too close to the work, a good developmental editor will see the soul inside the text and help you understand how to bring it out. If you’re writing up a proposal, a developmental editor will help you brainstorm the message you want to convey and will help guide you through your main points and keep your paragraphs on task. This person will take your current work, look at the ideas presented in it, and help you understand how to tie it all together in a structure that packs punch. In the academic world, we referred to this as the process of thesis building and global structure development. But as a person that’s been in the world outside of the academic essay for some time, I think of it in a different way. That way is this: whether you’re writing a sci-fi novel or a white paper, your developmental editor is your midwife. He/she will bring your baby into the world, and that baby will have all its eyes and toes and fingernails in the right places if the editor has done their job right. These people work closer with your text than anyone in some ways because they’re focused on your ideas–the whole reason you’re writing in the first place. It’s working with her that has made me see what developmental editing is–it’s coaxing an already-formed butterfly out of a cocoon. Developmental editing is my favorite, probably because I think it’s the most rewarding. Copyediting deals with the sentence-level stuff (and believe me, there will be sentence level stuff). It also may deal with things like fact-checking, style, and, if applicable, footnotes and references. For fiction, your copyeditor is also charged with noticing inconsistencies like your redheaded character flipping what’s described as brown tresses later on in your novel. 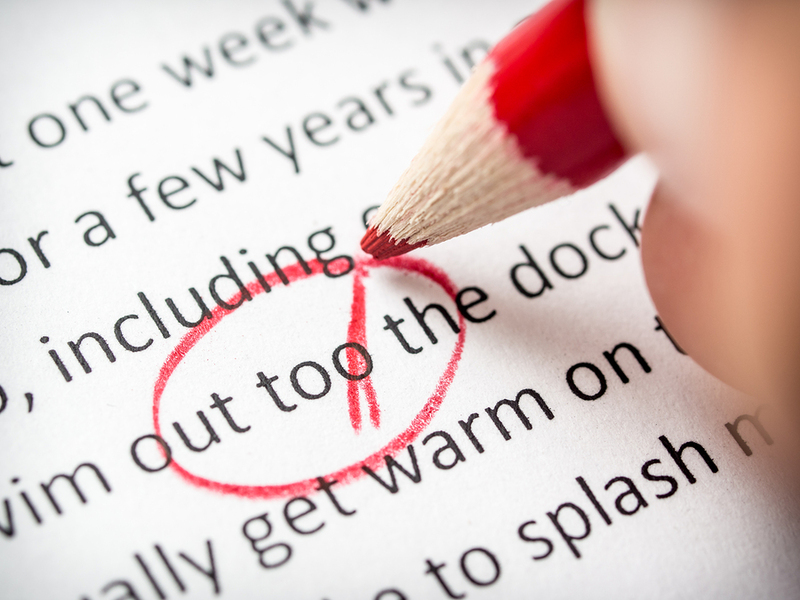 Most importantly, the copyeditor will make your sentences not only grammatically correct but readable. The copyeditor’s main goal should be clarity and communication at the sentence level. This, unfortunately for those writers who are sensitive, often requires rewrites of sentences. If a sentence has parallel structure issues or misplaced/dangling/squinting modifiers, this almost always requires a rewrite. If an author has a habit of writing long, sprawling sentences where the subject is separated from its verb by two lines of text, it simply has to be rephrased. This is why, when people ask for a proofread, they often really need a copyedit. Their errors are not ones that can be fixed by adding a comma. Sentences need to be chopped up and reassembled. Sometimes, they need to be placed somewhere else in the document completely to make sense. More than that, copyeditors work with tone. It’s easy enough to edit out contractions from a professional piece of correspondence, but what if an author who prides herself on having what she perceives as an affable, conversational writing style hands over something that is way too cute and flippant for the material under discussion? Copyeditors are often workhorses, and they are trained diplomats. Except in the world of professional workflows employed by big-boy publishers and print and online media companies, they usually have to do a little of all three types of editing ’cause this text isn’t going to anyone else. They’re all the editors packed into one. Not only must they catch the missing word in the sentence that’s so easy for the eye to skim over, they have to think about what the person is saying and if the sentence conveys their meaning. And what’s more, they have to think about how to share their edits with this author in a way that doesn’t ruffle any feathers. I can’t say this emphatically enough–a proofread is not what you need unless you’ve been copyedited. 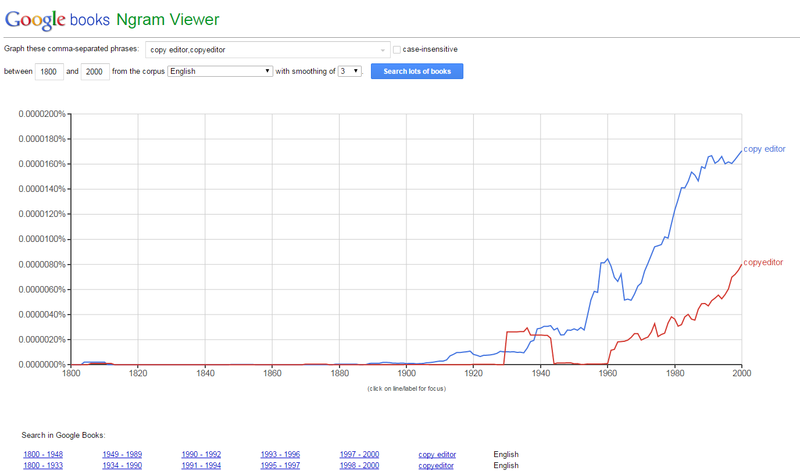 Proofreading is last-ditch, pre-publication typo-catching. It’s finding missing words, misplaced commas, use of the wrong “its.” A proofreader will also double check stylistic things–was the name of a magazine italicised here but not later in the article? Are there periods at the end of each bullet point in this list but no punctuation at the end of the bullet points on the next page? 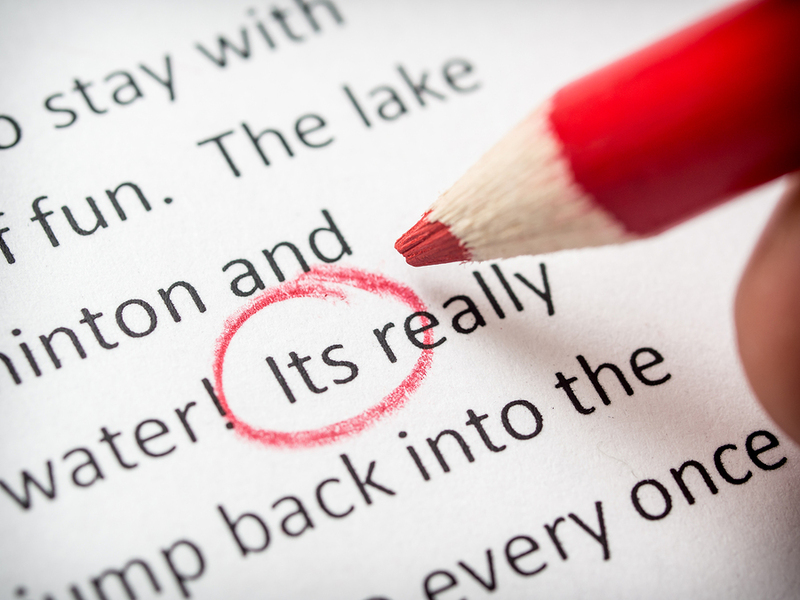 Proofreading is the final step before publishing–it’s just there to catch errors and little inconsistencies, like the font being a different size for the captions on page 6. 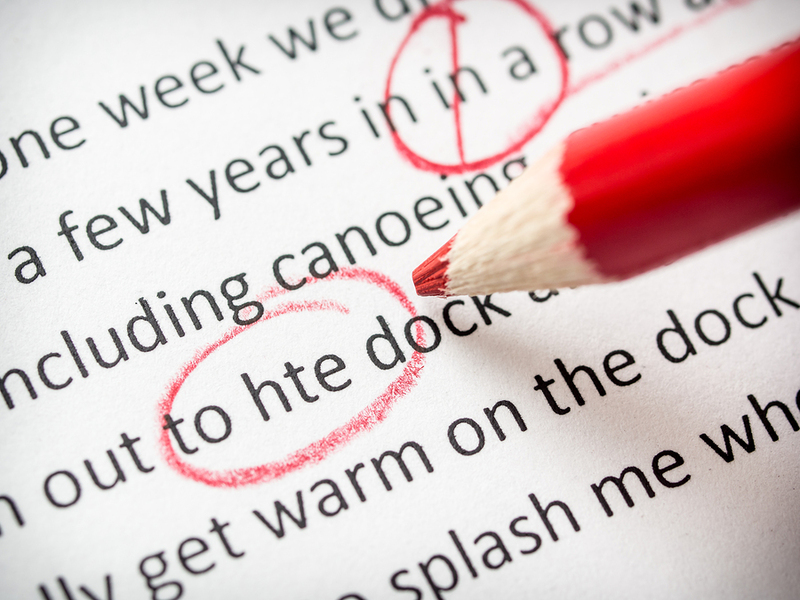 Proofreading sounds like the easiest form of editing–and if the copyeditor has done a good job, it probably is pretty easy. But it’s my least favorite type, and I’ll tell you why. You have to have a real eye, even a talent, for spotting detail. Your eyes are the last to see this text. If you miss something, oh boy. That doesn’t fall on anyone else but you. There’s a lot of pressure on proofreaders. They’re the ones who are expected to pump out perfect manuscripts. And no human is perfect. So those are the types of editing. And here’s a tidbit. Whatever level of editing you think you need, it’s probably actually the step before it. I say that not assuming you’re a bad writer. I say that assuming you’re a human being. Every time I’ve been asked to give something a “quick proofread,” it’s needed sentence-level work. It’s okay if you didn’t know that when you asked. That’s why people like me spend our lives learning new things, figuring out why sometimes you put a comma before “so” and sometimes you don’t, understanding what violates the rules of parallel structure, etc. Frankly, if you’re in pursuit of perfection, the stuff is so complicated that you couldn’t possibly know unless you made it your job to know. You should see the rules around capitalization of position titles. 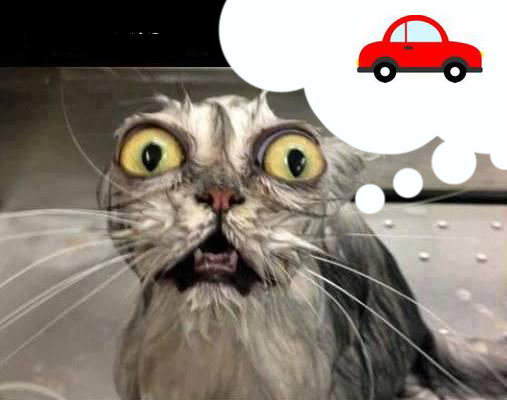 It would make you rip out your hair. Luckily, an editor worth their salt has made it their job to know. But I’ve told you now. Keep it in mind: there are things grammatically wrong with your sentences (at the very least), and you don’t even know that you don’t know. So trust me when I say you don’t need a proofread–you need a copyedit. I just know this from experience. Now you understand the different levels of editing. Yay! Except not yay! Because, if you’re reading this, you’re probably already thinking about the subject of my next post in this series: the practicality of it all. Having three levels of edit, or even two, is all well and good if (a) you run a magazine or (b) you are fantastically wealthy, in both the currencies of time and money. But it isn’t practical for an individual to hire out for this long series of edits. You likely want just a nice overview of your text, sparing you embarrassing mistakes. This is one of the problems I’ve always had with real, professional editing, where time is taken to get it right. Is it practical? Stay tuned to hear my non-answer!